South African Transport and Allied Workers’ Union (SATAWU) members at SA Express (SAX) are worried that a former CEO who left the airline in financial dire straits might be reappointed. Workers at SAX have seen communication to the board recommending former SAA CEO, Siza Mzimela, be appointed acting CEO of SAX for six months. As far as workers know, Mzimela was brought in recently to assist the Commercial Department on a consultative basis for four to six weeks. Now, it looks like she might be staying on. Workers who have been with the company for many years remember Mzimela’s previous term as CEO. They say no reasons were given for her departure and soon after the company started experiencing financial difficulties so much so profit share was not paid from that year onwards. Similarly, no reasons were given when she left SAA – they say – as a result they do not trust her. If she were to be appointed, Mzimela would replace acting CEO Matsietsi Mokholo, who was seconded to SA Express from the Department of Public Enterprises. 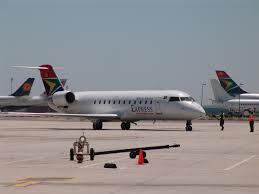 SAX was grounded in May by the South African Civil Aviation Authority (SACAA) due to safety concerns. Last week the airline announced SACAA had cleared two of its aircraft for operation while the other seven were due to be inspected. Since the airline’s grounding employees have been anxious about its survival and the impact on their livelihood. They suffered undue stress at end June when it was not clear if their salaries would be paid. Workers are apprehensive about the changes Mzimela would bring if she were appointed. SATAWU intends to request a meeting with the airline at the earliest opportunity to discuss the safety of our members’ jobs.